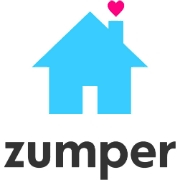 Zumper is an online real estate marketplace that allows users to post their rental properties. It streamlines the process of renting for both tenants and landlords and enables renters to filter listings based on price, location, available amenities, number of bedrooms, and more. In this article, we cover user reviews and pricing. Ready to try Zumper? Get a free account. As of the date this article was written (10/18/18), there are very few up-to-date reviews of Zumper available online. If you are a past or current Zumper customer, leave a review to help other business owners who are deciding whether or not to use the Zumper. Zumper offers two subscription options: Pro ($0) & Multifamily (custom priced). Zumper doesn’t provide information on how much commission or fees they collect from landlords who use their platform. Similar platforms charge commissions that range from 18%-50%. Ready to try out Zumper? Get a free account. 37 Best Real Estate Software & Tools for Top Agents in 2018— Are you looking for the most suitable real estate software for you and your team? Do you need one as an individual realtor? Read this guide for our best picks for 2018. Can users upload photo files to their listings? Yes. Users can upload photo files from their computer to Zumper. The app supports most photo file formats, like JPEG, PNG, GIF, and more. However, the minimum file resolution for photo upload is 160×160. Can users create a listing using their mobile device? No. Though users can access their account using a mobile device, they can only create a listing by logging into their Zumper account on a computer. Not sure if Zumper is the right fit for you? Read our reviews of all top real estate listing providers or check out one of these three Zumper competitors.